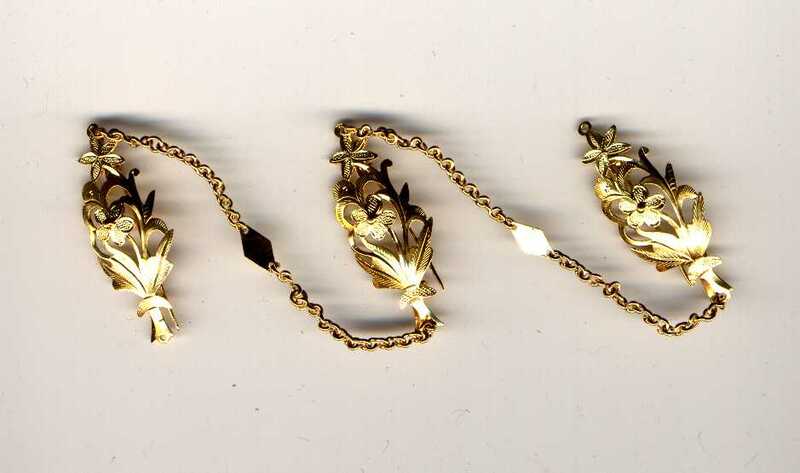 3 piece gilded chain kerosang. Gold on silver, chain kerosang. 3 piece leaf design chained kerosang.